These are the scientific studies listed on our website: http://www.safeinschool.org/p/scientific-studies.html We post the source links for all of the studies and we link to full-text as in the publications wherever such links are available. It is important to list the studies which clearly state that EMF (at Wi-Fi and cell phone frequencies) can cause adverse biological effects, because Health Canada often makes blanket statements that there is no evidence of such effects. Health Canada's "Weight of Evidence" approach (which they use to justify their claim that EMF doesn't cause any harm) is nonsensical. They are saying that if the number studies that don't show harm is more than the number of studies that show harm, then there's no harm, or harm is not proven - who has "more" evidence wins! First of all, when live subjects are used, genetic differences between individuals or between groups need to be taken into consideration. Just like in the general population, not everyone who smokes gets lung cancer. Similarly, one study on chicken might yield different results compared to another study of the same substance, but conducted on another batch of chicken. However, the difference in outcome does not NEGATE the fact that the substance has caused harm on the first batch, (even though it didn't cause the same harm on the second batch). This is especially important when the concerned substance is mandated for all. Secondly, "Weight of Evidence" is also heavily affected by the "Weight of Funding". Wireless and utilities industries and their trade associations have a lot more money to fund studies than other independent sources. 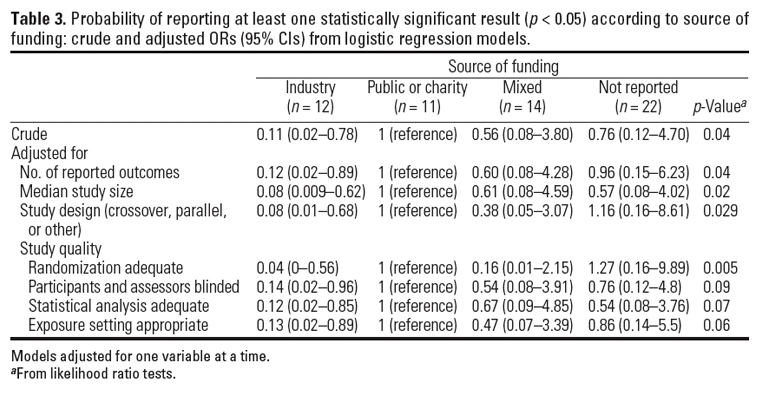 As a result, industry-funded studies always out-count non-industry-funded ones. 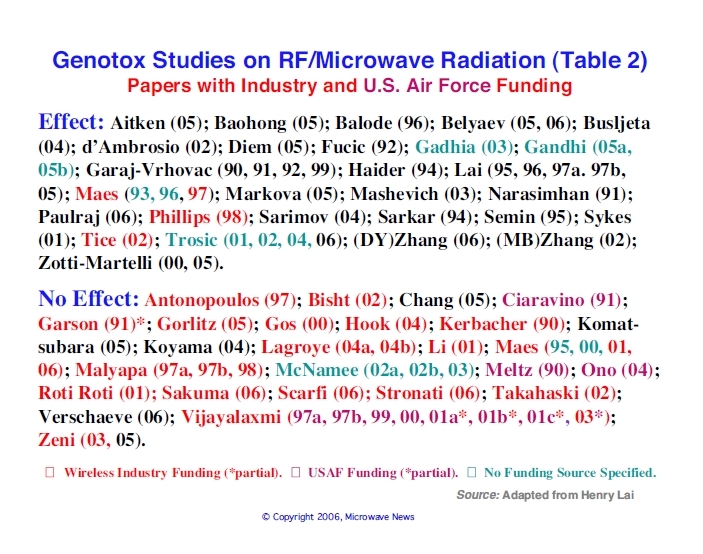 Industry funding influencing science outcome is not a conspiracy theory, it is a well-known phenomenon. Here are excerpts from the Harvard Health Policy Review. "Evidence demonstrates that academic biotechnology research has become increasingly commercial in the last twenty years in Canada and in the US . This obvious realization does not only carry negative implications. Private funds have helped American universities remain on the cutting edge of scientific research and provide the best learning environment for their students. However, it would seem that this increasing emphasis on research commercialization has also created situations where university teachers and researchers could now find themselves in conflict between their traditional academic duties and the new commercial imperatives. This situation is especially worrisome in that it could lead researchers to delay the communication of important findings over substantial periods of time in order to protect commercial interests. In our article, we first demonstrated the existence of a significant correlation between commercialization and withholding of information in the biotechnology research field in Canada and in the US . We then set out to find where and how, in the commercialization chain, the free dissemination of information was put in jeopardy. We conclude that policy changes may be required to improve the free flow of information."